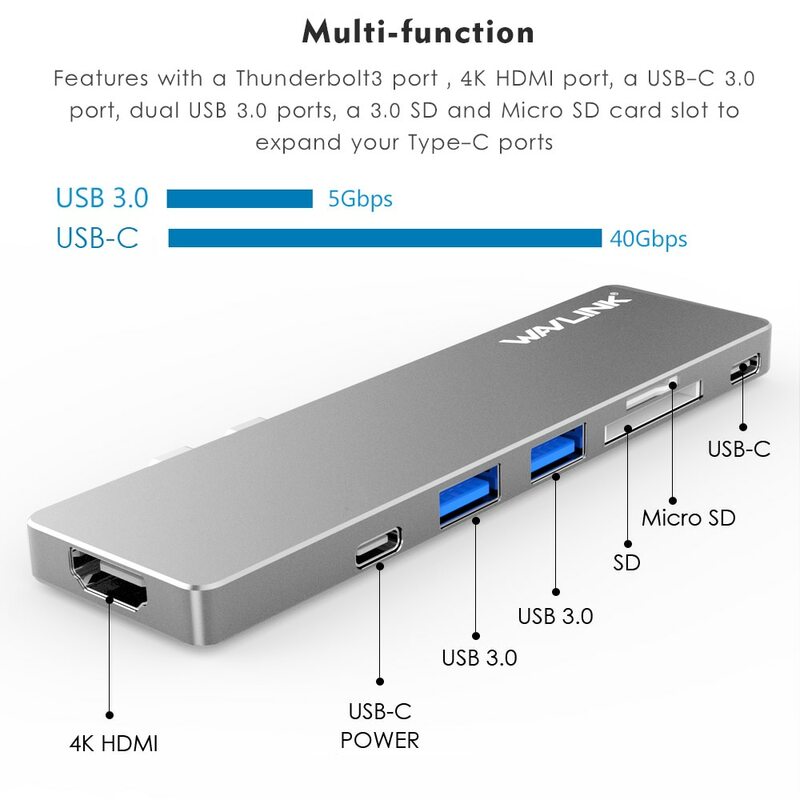 Full Name: Wavlink Dual Ports USB C Hub To HDMI Adapter 4K USB Type-C Hub 3.0 w/ SD/Micro SD Card Reader for MacBook Pro 2018. If you are using a USB-C laptop like Dell’s Latest XPS 13 or Apple MacBook Pro then you must be missing the old ports like regular USB, headphone jacks, HDMI, Display Port, Micro SD Card Slots etc etc. And now if you need them back then you need to buy a USB-C hub. 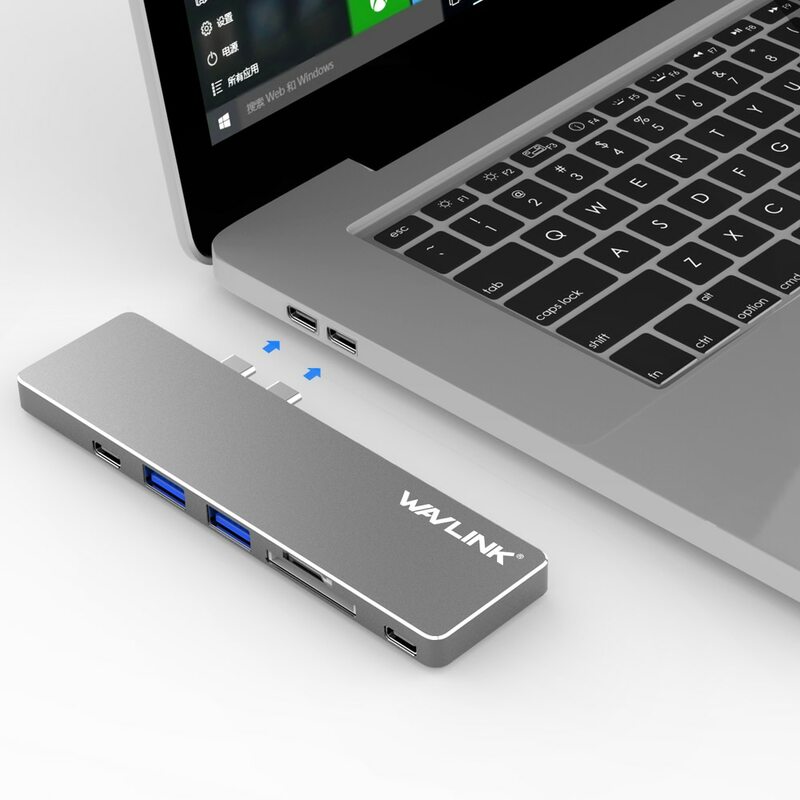 Here we are going to talk about Wavlink USB-C Hub. 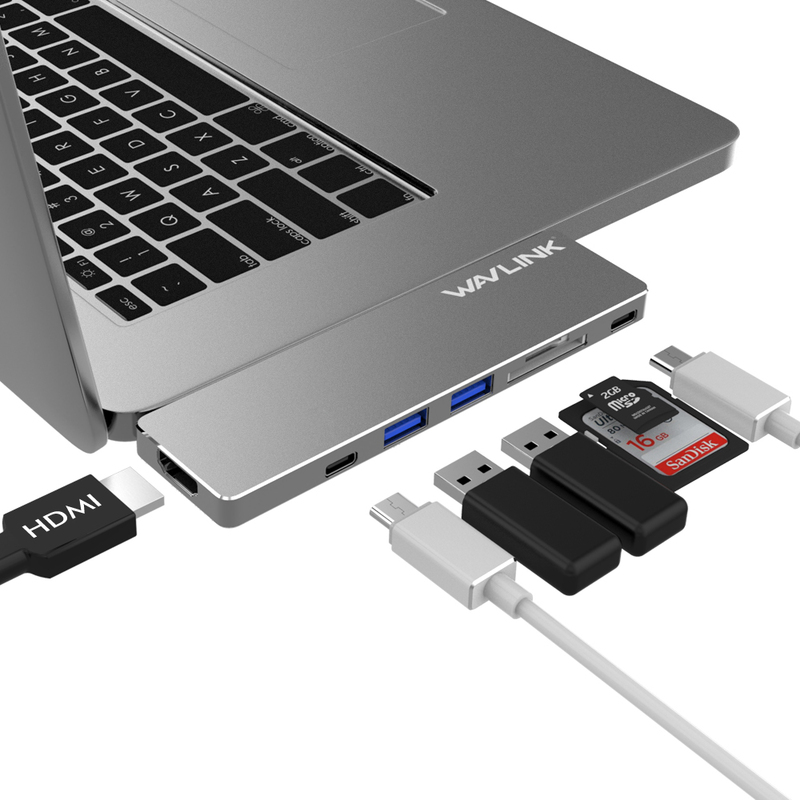 The Best USB-C hub is one that is small and light weighted and it gives you access to all the ports you need. And it should be affordable too. 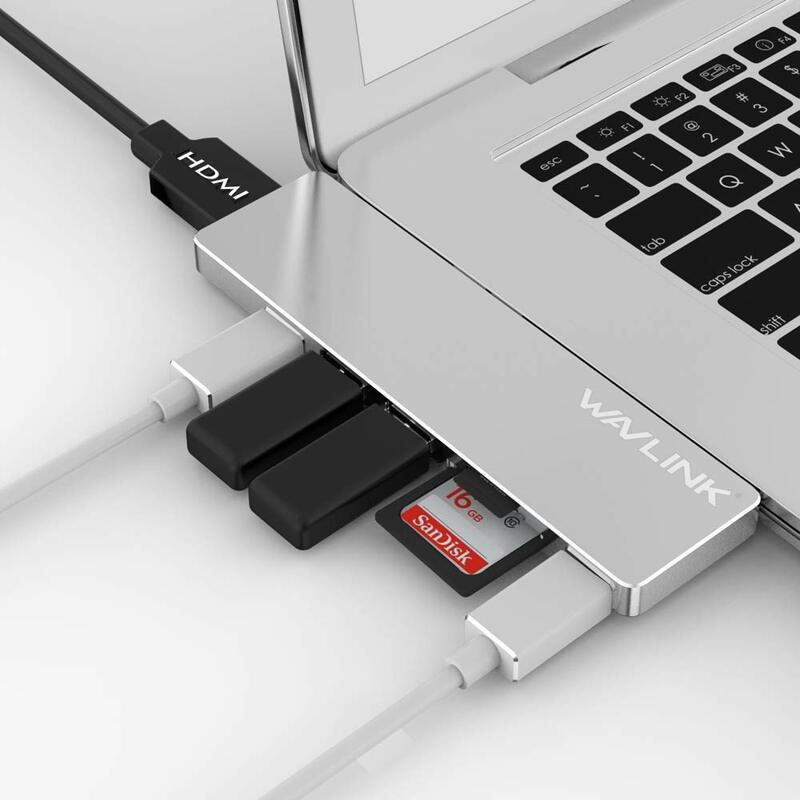 The Wavlink Aluminum Pro Hub/Mini Dock is the newest addition to Wavlink USB Type-C collection and works perfect with 2016/2017/2018 MacBook Pro.. 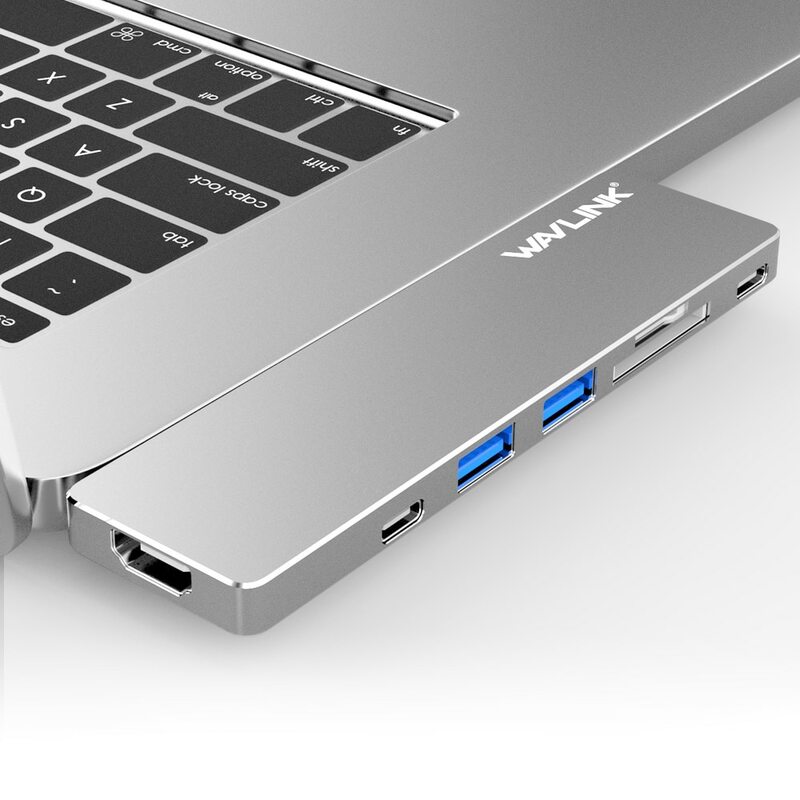 This Wavlink USB-C Hub is deisgned for MacBooks which comes with 13 inch or 15 inch. 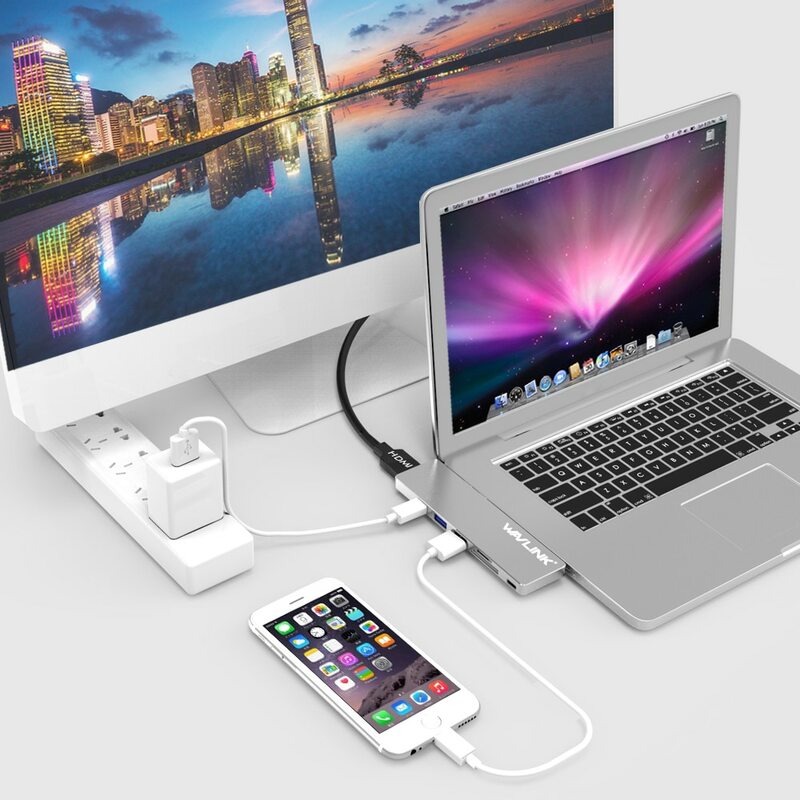 This mini dock has a Thunderbolt3 port, a USB-C 3.0 port, 2 USB 3.0 Ports, 4K HDMI port a 3.0 SD and Micro Card slot to expand your Type-C ports. Its light weighted and has a leather pouch that makes it more convenient to carry. You don’t need to install any software or driver to use this Dock.Just connect it with your laptop and start using it. 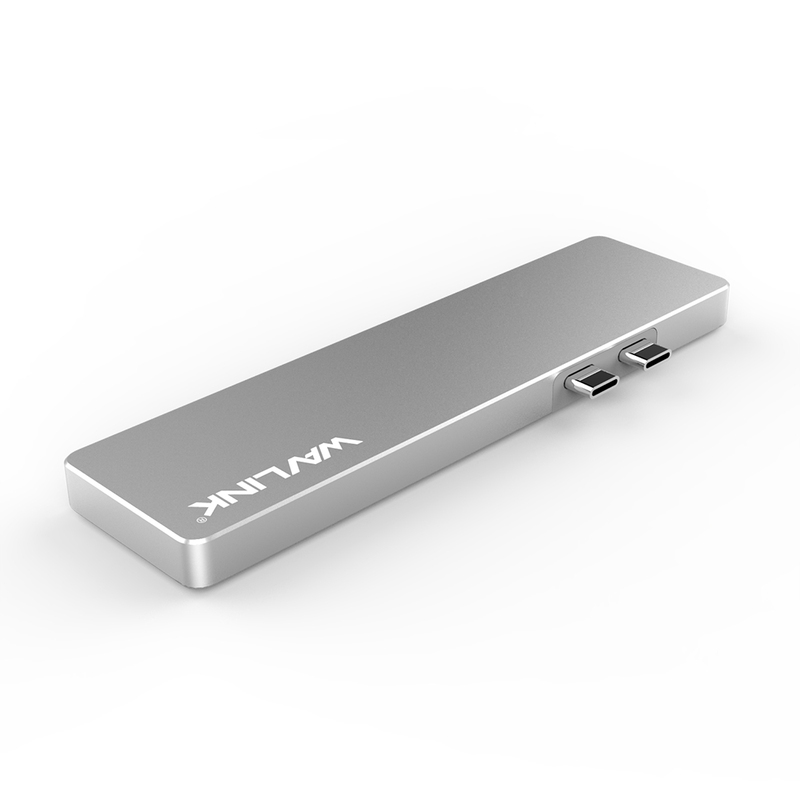 Buy this Wavlink Dual Port USB-C Hub From AliExpress at Discounted Price! Another great thing about this mini dock is that not only it works with Mac, but also it works as regular USB 3.0 hub when plugged into my PC laptop (using a separate USB-C male-female cable). 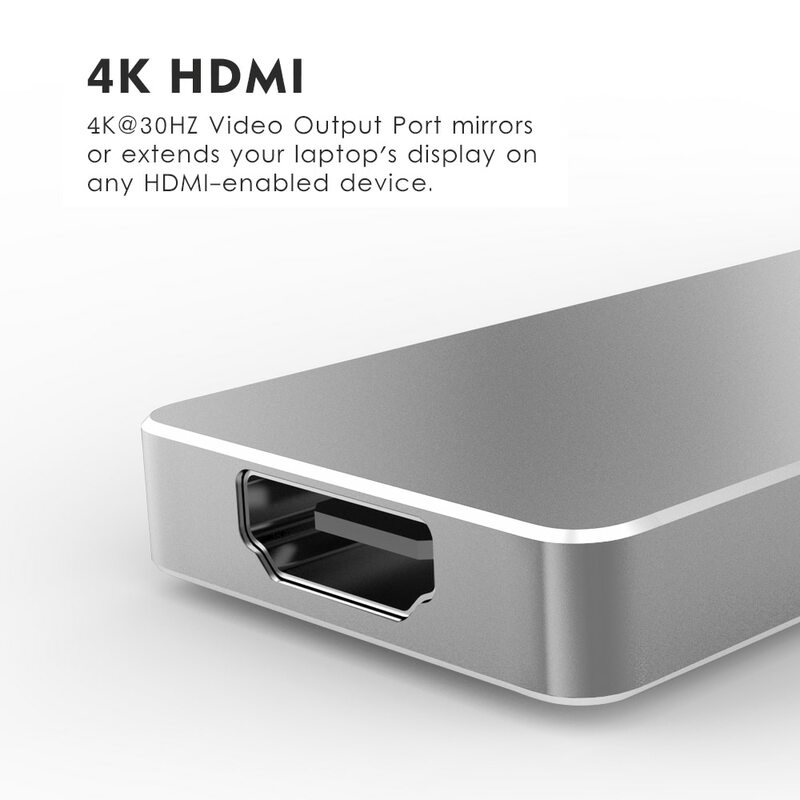 4K@30HZ video output port mirrors or extends your laptop’s display on any HDMI-enabled device. This hub allows 40Gb/s data transfer speed. It gives you brilliant 5K video output and You can connect 2 monitors with 4k resolution. The USB-C port support 5K@60HZ or 2 X 4K@60HZ. 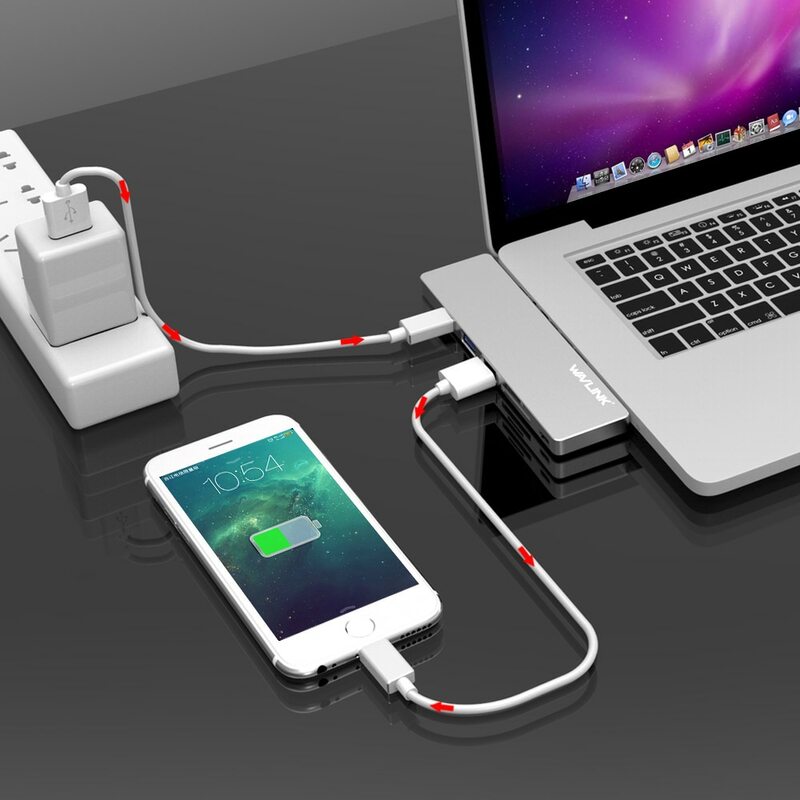 It is equipped with 2 fast USB 3.0 ports and 1 USB-C 3.1 Gen 1 port that allows transmission rate up to 5Gbps. It is compatible with different peripherals i.e printers, scanners and hard disks including Type-A and Type-C device. SD Card support SD/SDHC/SDXC/SD3.0 UHS-1 and allows tranmission rate upto 104MB/s. Micro SD card supports TF, Micro SDHC/SDXC.M2 upto 104MB/s . It is very small in size and very lightweighted hub so you can carry it with your MacBook pro wherever you go. It also has a small pouch that makes it more convinient to carry. 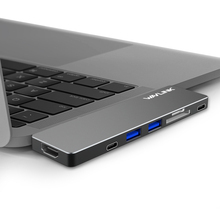 Wavlink designed it to feel like a natural extension of the Apple new MBP. You can see its thickness, right angled edges, round corners and color is also similar to MacBook pro.